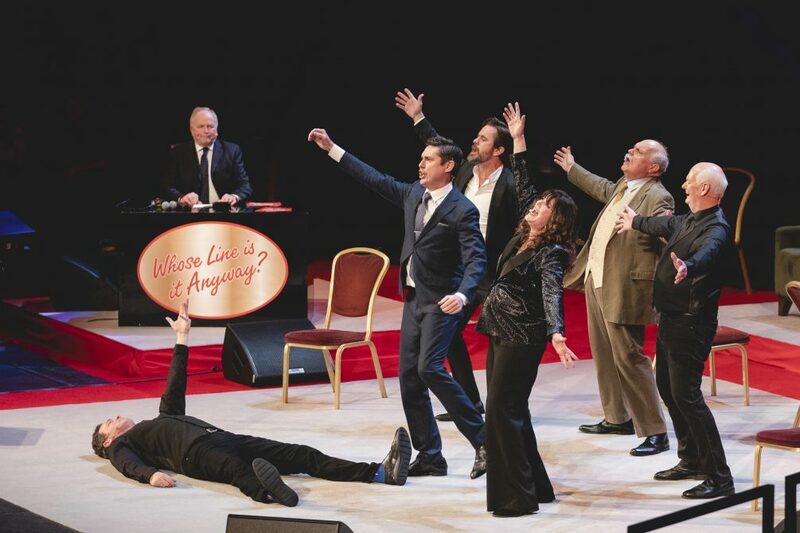 The first official stage version of the famous improvisational comedy show ran from June – July 2015 at the Adelphi Theatre, London. 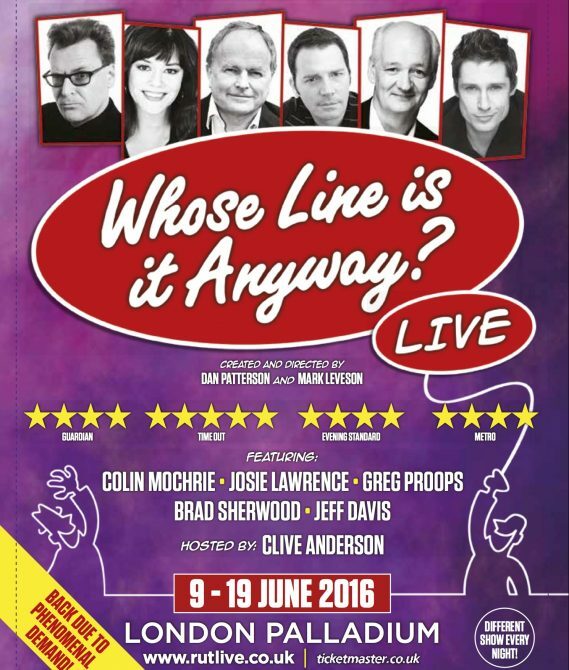 The show featured original host, Clive Anderson, as well as Whose Line regulars: Colin Mochrie, Greg Proops, Josie Lawrence, Brad Sherwood and Stephen Frost and garnered 4 and 5 star reviews. Two shows were hosted by head of Angst Productions and Whose Line co-creator, Dan Patterson. The London Palladium was the home for a second, exhilarating run of 14 shows in June 2016. 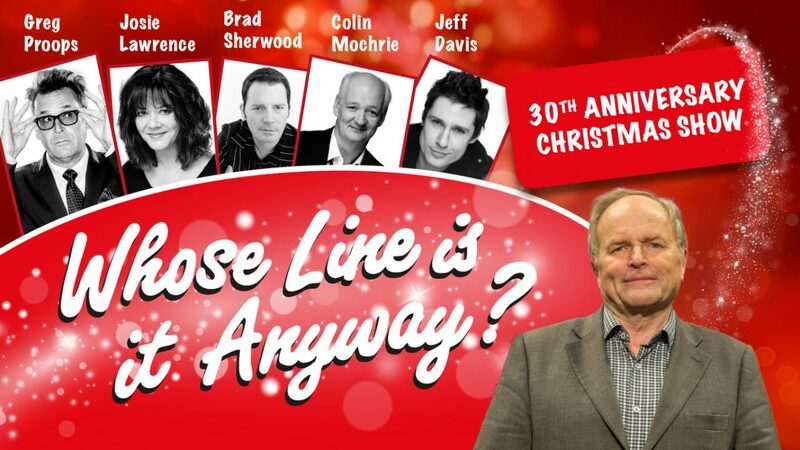 This time the previous year’s cast were joined by Whose Line favourite Jeff Davis. 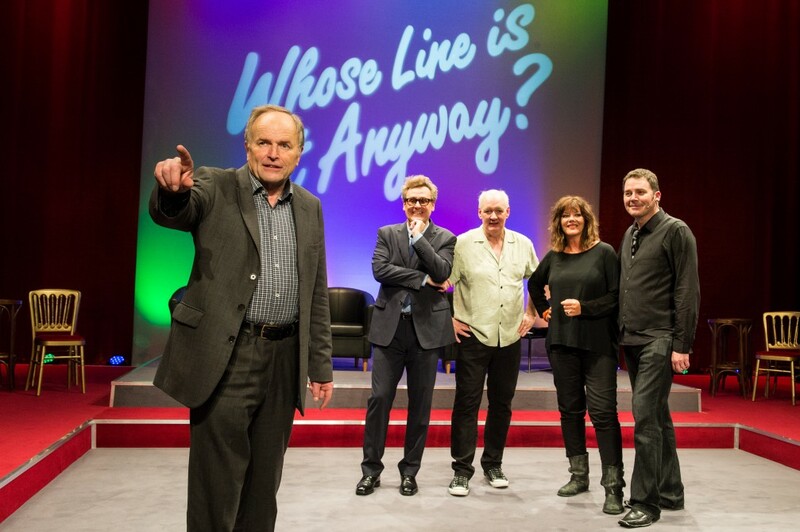 In December 2018, the Whose Line Is It Anyway? 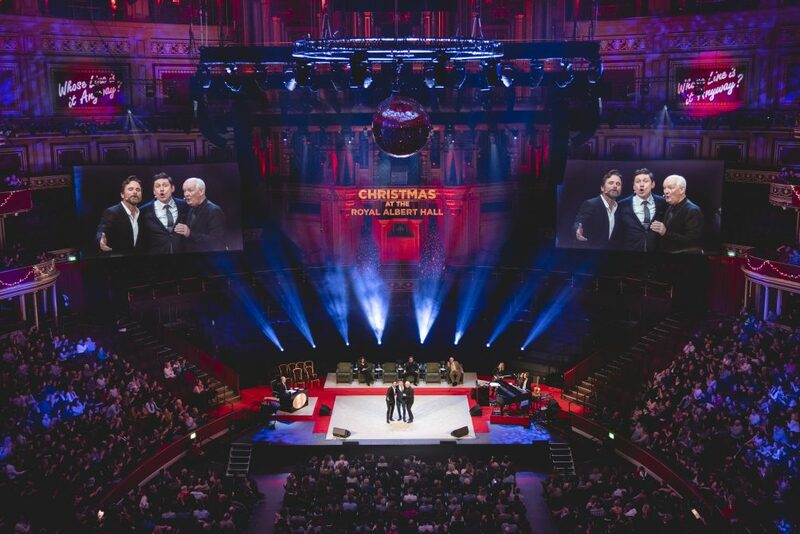 team took the Royal Albert Hall by storm with three hilarious Christmas performances to celebrate 30 years since it’s TV debut. 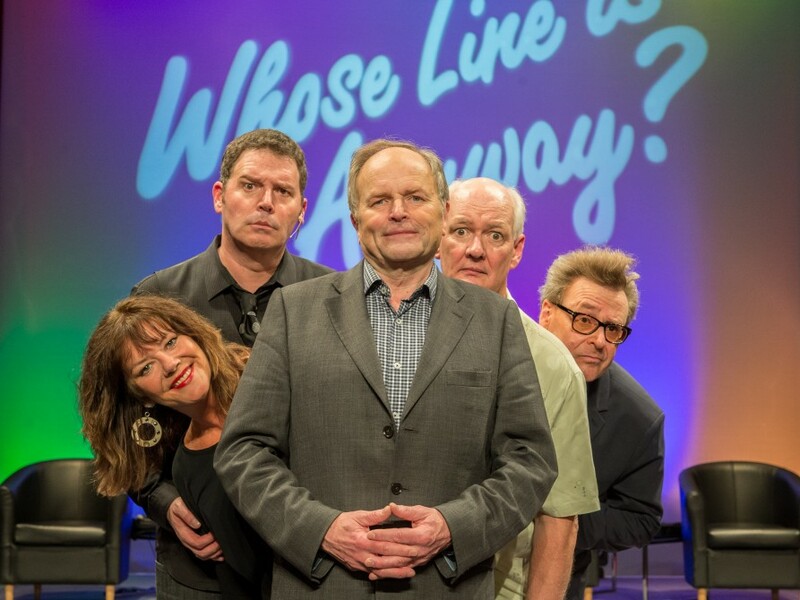 Clive Anderson was reunited with Colin Mochrie, Josie Lawrence, Charles (Chip) Esten, Jeff Davis, Brad Sherwood and Mike McShane, as well as multi-talented musicians Laura Hall and Linda Taylor.